Nucl. Phys. At. Energy 2016, volume 17, issue 1, pages 5-11. Received: 02.09.2015; Accepted: 11.04.2016; Published online: 02.06.2016. *Corresponding author. E-mail address: lukyanov@kinr.kiev.ua. Abstract: The neutron skin and halo distributions in medium and heavy nuclei are calculated within the extended Thomas - Fermi approximation. Calculations are carried out for the effective Skyrme-like forces using the direct variational method. The analytical expression for the isovector shift of the rms radii Δrnp as a sum of skin- and halo-like terms is obtained. The contribution of halo and skin terms to Δrnp are found to be approximately equal. 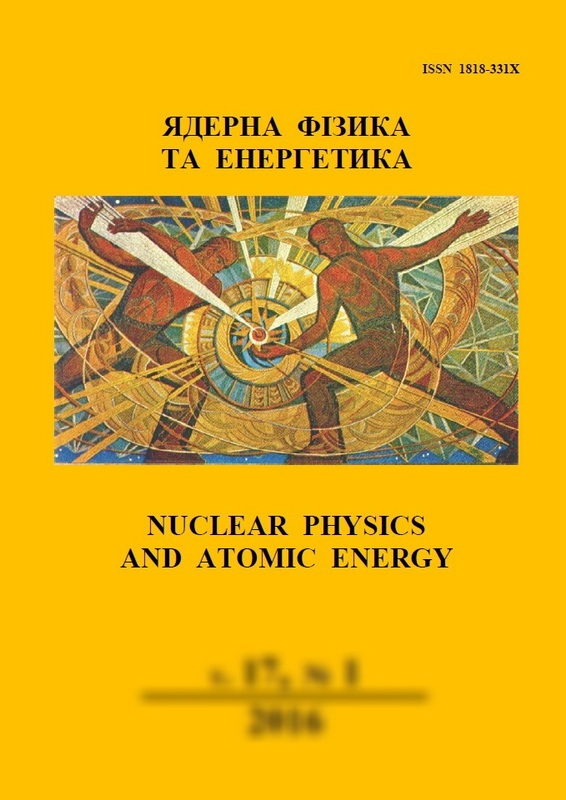 Keywords: neutron skin, neutron halo, Thomas - Fermi theory, variational method, Skyrme forces. 2. D.A. Kirzhnitz. Field Theoretical Methods in Many Body Systems (London: Pergamon, 1967).